Sadako and the Thousand Paper Cranes by Eleanor B. Coerr is a wonderful book to use with third through sixth grade students. It is a moving story about courage, strength, and friendship. This book, based on the true story of Sadako Sasaki, is a wonderful resource for a thematic unit on Japan, World War II, and Peace Studies. This site is being provided for educators who truly want to make this story come to life for their students. Learn about the author of this beautiful book. Eleanor B. Coerr has written a number of books that are appropriate for the same age group as "Sadako." Contact the Author - Eleanor Coerr's own home page. Send her an e-mail! Where in Japan was the atom bomb dropped? How has the country changed over the last fifty-five years? What do Japanese students do for fun? Real Time Japan - Up-to-date Japanese weather, online newspapers (in English) and real-time cams around the country. Hiroshima: A Survivor's Story - Learn first hand about a fifteen year old boy's experience after the dropping of the atom bomb. 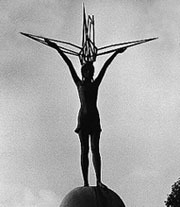 HIROSHIMA CALLING - An incredible photo essay on the effects of the bombing on Hiroshima, and the peace efforts that have followed. KIDS WEB JAPAN - A great comprehensive web site on everything from daily life and traditions to politics and history. Photo galleries, games, language labs and more! Kid's Window - A semifinalist in the NII Cyberspace Awards. Take a trip into a Japanese library, restaurant, or toy store. Meet Kids in Japan! - Global kid connections takes you to a different country each month. This link takes you directly to Japan. Cranes - Home page for the International Crane Foundation. Sharon O'Connell's Resource List - A comprehensive list. Sadako and the Paper Cranes - A web quest for grades 3 -5. Sadako Teacher's Guide - A California standards based for older students. Sadako and the Thousand Cranes - More lesson plans and resources. Peace Plan - A web based lesson for peace studies. E-mail the Sadako Club! TeacherView - Book reviews and activities based on "Sadako." World Peace Project for Children - The Home page for the sponsors of the "Sadako Project" and "Wings for Peace." Cranes for Peace - A paper folding piece project. Sadako Peace Forum - A photo gallery of the project and history of the dropping of the A-bomb. Joseph Wu's Page - A beautiful site for beginner's to experts. A Thousand Cranes - Incredible artwork from Kathryn Schultz-Miller's theater adaptation of "Sadako". Sadako, the Film Project - Order the half hour video, get a free Sadako Statute photo, and learn to fold paper cranes. Haiku is a form of poetry popular in Japan. The following sites provide examples, lesson plans, and publishing sites for kids. How to Haiku - An overview. The Haiku Home page - Lesson plans for primary and secondary grades. Learn about the history of this art form. Haiku Piazazz - This site links to a bank of haiku resources. Writing Haiku - A standards based lesson plan. Smartz Writer's Guide - A resource for young writers. Interested in having your class perform a "Habitats Cyberhunt"?